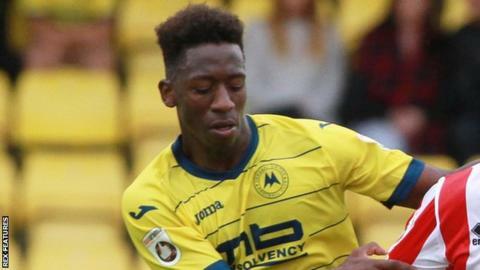 Torquay United "deserved" their 1-0 FA Trophy win over Wrexham, according to manager Kevin Nicholson. Shepherd Murombedzi's 80th-minute goal sealed a third-round tie for the National League side. "I'm very pleased, I think the lads got what they deserved," Nicholson said. "I think they carried on from what they've been doing over the Christmas period, they've worked incredibly hard in tough conditions, played some decent football and we out-willed Wrexham."